Raytheon's AN/SPY-6(V) Air and Missile Defense Radar has successfully searched for, acquired and tracked a ballistic missile test target during its second live-target flight test at the U.S. Navy's Pacific Missile Range Facility, Kauai, Hawaii. This test event featured a more complex, threat-representative ballistic missile target than prior tests, intended to challenge the detection and tracking capabilities of the new radar. AN/SPY-6 acquired and maintained the long-range missile target track, from launch through flight. AN/SPY-6 is the nation's most advanced radar and will be the cornerstone of the U.S. Navy's surface combatants for many decades. This result is the most recent in a series of successes for the AN/SPY-6, following the tracking of the first ballistic missile target in March 2017. Building up to that milestone, the radar was tested against targets of increasing complexity, including integrated air and missile defense targets of opportunity, satellites and aircraft. AN/SPY-6(V) provides greater capability – in range, sensitivity and discrimination accuracy – than currently deployed radars, increasing battlespace, situational awareness and reaction time to effectively counter current and future threats. It is the first scalable radar, built with Radar Modular Assemblies - radar building blocks. Each RMA, roughly 2' x 2' x 2' in size, is a standalone radar that can be grouped to build any size radar aperture, from a single RMA to configurations larger than currently fielded radars. 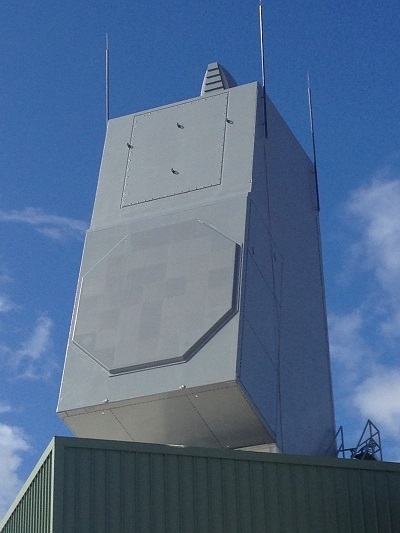 The U.S. Navy's new Enterprise Air Surveillance Radar leverages the highly-scalable design and mature technologies of AN/SPY-6 in a scaled nine-RMA configuration to meet the mission requirements of carriers and amphibious ships. The commonality - in both hardware and software - with AN/SPY-6 offers a host of advantages, including maintenance; training; logistics; and lifecycle support.